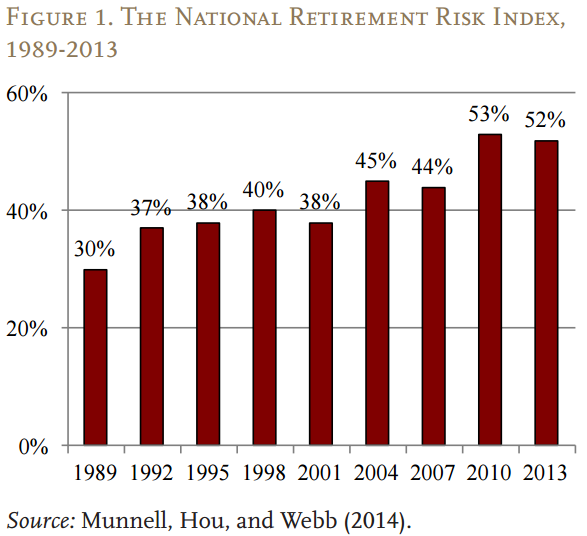 The National Retirement Risk Index (NRRI) from Boston College’s Center for Retirement Research (CRR) uses Federal Reserve data to estimate the percentage of working-age U.S. households who are in danger of being financially unprepared for retirement. The latest update to this index revealed that “even if households work to age 65 and annuitize all their financial assets, including the receipts from reverse mortgages on their homes,” more than half (52 percent) will still be at risk of being unable to maintain their standard of living during retirement. That reflects a significant increase from 30 percent in 1989, and there has been a clear upward trend in the NRRI over the past few decades, which CRR researchers attribute to a handful of factors. 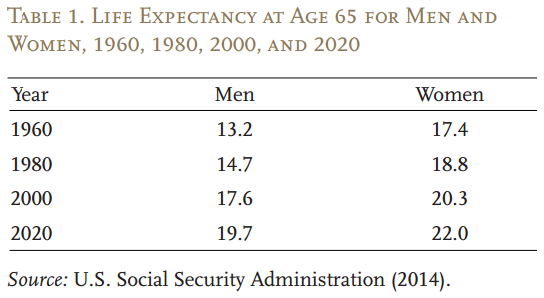 For example, retirement is getting much longer for Americans, as the average retirement age is holding steady even though life expectancy continues to rise. Fortunately, there are various tools to help households better prepare for retirement, such as 401(k) plans, which the researchers said in theory can provide adequate retirement income. Many individuals, though, make avoidable errors that lessen the effectiveness of these tax-advantaged savings vehicles. One far too common mistake, for instance, is failing to fully utilize the contribution match. Indeed, lots of employers sponsoring 401(k) plans will match their workers’ retirement plan contributions up to a predefined ceiling. This can essentially be viewed as free money but many workers keep their savings rate below a level that would take full advantage of what their employer offers. For some workers this occurs because they prefer smaller paycheck withholdings while for others it is because they never raise the savings level above the initial contribution rate. Regardless of why workers fail to maximize available matching contributions, a study from Financial Engines estimates that as many as one in four employed adults are missing out on roughly $24 billion annually in employer contributions by not saving enough to receive the full match. To put that another way, U.S. workers leave an average of 2.4 percent of their salary on the table each year because they do not take full-advantage of this employer-provided benefit. Some may consider that to be a relatively small percentage but over time it can turn into a significant amount of forgone retirement savings.